After the soaring, lovely Bad Girl, this somewhat ill-considered B-side sends the listener crashing back down to earth with a bump. It’s a lighthearted R&B number, not outright comedy in itself but very obviously influenced by the comedy R&B of the Coasters and their naff novelty hits like Yakety Yak and, in particular, Charlie Brown. Anyway, for what it’s worth, this record isn’t maybe as awful as I’m painting it to be, but it’s not great; an ominous low sax solo gives way to Smokey telling a banal story about approaching his girlfriend’s father for permission to date her, and then in the chorus her dad (played by bass vocal Pete Moore) retorting in a ridiculous comedy voice “you’re crazy”, to which Smokey squeaks in an ear-splitting falsetto “I’m crazy?”. Dad then intones (again in a silly bass voice at least an octave too low for Moore’s actual range, at least for speaking purposes) “Who makes you think that it’s only YOOOOOU?”, and Smokey shouts “Your baby, your baby!”. It’s a plotline that doesn’t make a great deal of sense, all told. Two things become clear from listening to this one. Firstly, Smokey (who, again for those joining us late, was just nineteen years old at this point) didn’t yet have enough confidence in his own songwriting abilities to keep polishing his own sound – the sound displayed on Bad Girl – and was instead ploughing the same comic doo-wop/R&B-pop sound of the Miracles’ first, pre-Motown single Got A Job, itself an “answer record” to (and ten times better than) the Silhouettes’ Get A Job. Now, I Love Your Baby is considerably more listenable than those Coasters records cited above, but not by much, and it’s a shame to see one of the great individual voices and songwriters pressed into service making low-rent riffs on other people’s hits. If you combine this record with Got A Job and the awful “Ron & Bill” comedy side-project single It (which, it might be clear by now, I’m not fond of), it’s entirely possible that at this point Smokey and the Miracles may well have actively welcomed such a move, may well have actually wanted to be the energetic, light-hearted comedy doo-woppers they seemed to be leaning towards becoming. Bear in mind, obviously, the Miracles didn’t know they were going to go on to carve out their own place in music history and become the bloody Miracles, one of the best groups of all time, so it might be that a niche role and a steady career as a sort of comedy doo-wop/pop crossover act seemed like an appealing prospect at the time. loved your review and agree right down the line, although I don’t rank this as low as you. However, I’m not as antagonistic to the novelty record thing as you and in fact love the Coasters. In fact, I own the original single and never play Bad Girl without then flipping it over and play the B-side as well. If the flip side were an inferior track similar to Bad Girl I’d probably never play it, but this thing seem to complement the A-side well for me. Just goes to show how personal these things are, beyond any objective measure. Absolutely! Lest anyone be under the wrong impression, everything I’ve said is just my own personal opinion – please don’t anyone be discouraged from diving in to the catalogue and finding your own favourites! this i reckon is more of a five than a three. its not fantastic but quite good fun. i’d have a bop to it for sure! I never cared for it, BUT I hear alot of vocal inflections and techniques that are uniquely Smokey. I think Berry liked that cause it kept coming back in other songs. I agree with everything about the song. It’s not particularly good, the story doesn’t make sense and it’s quite dated today. But I will vote this song 1 point higher and give it a 4 because of Claudette in the background and the hiccup Smokey does near the end when he says “I do-oo-oo take this girl.” Smooth! Having just spent the last few weeks playing the complete motown singles sets from volume one to 11b, we are still waiting on 12 I can honestly say that in the beginning Motown was trying to find itself and got better as time went on carving out its own distinctive sound. Motown did manage that first year to hit a few with Barrett Strong’s “Money” the Miracles Bad Girl” and “Way Over There” Still it’s fun to listen to these oddball creations. One has to keep in mind styles of music in the time the record was released. 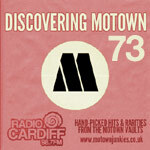 I have to also say as an ardent colector of previously unreleased Motown that some released stuff should have stayed in the vault and the unreleased should have been released! What do you think of this song? Should it have stayed in the vault? You asked if this one should have stayed in the vault? As I am a fan of the Coasters I am struck by the similarities but it is hardly a Miracles Classic. So yes it should have remained in the vault. Thanx for replying back Miss Mary! This was the answer I was hoping for (lol). It was a typical novelty R&B jump tune, which, in 1959, was still generally the type of tune placed on the “B” side of a slow harmony ballad (such as “Bad Girl”). I agree that it’s not all that good (pun intended), and novelty jump is not among my favourite styles. I would have preferred that it remain “in the can”, and the more major key driven “The Feeling Is So Fine” ,which was later pulled back after a short local run, would have been put on Bad Girl’s flip (but it hadn’t been recorded yet). I’m afraid that if THIS cut hadn’t been chosen, another novelty jump tune, very like this one, would have taken its place, as that was still the vogue in early to mid 1959, as it had been since 1952, and the start of greasy ballads on the “A” sides of vocal group harmony cuts. Do we know who plays drums on this? It may only be a 2/10 for the composition, but the incredible way they stretch the time feel every which way is definitely 10/10.